If the AAF Folds, Did Trent Richardson Do Enough To Get Another Look? The shortlived season of the AAF helped some get a second look and it showed why some won’t be back in the NFL. 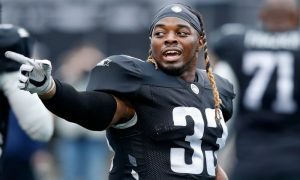 Where did Trent Richardson come in? 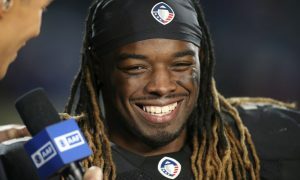 If the AAF does indeed succumb to financial difficulties and the league plays no more, several players did enough to warrant another NFL look. Some are still question marks and some were just abject failures. 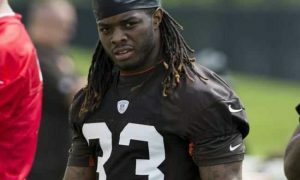 The question is, where did Trent Richardson land in his quest to earn another shot? Except for a first week silly penalty for spiking a ball that then went off the field, he kept himself in check, didn’t draw other silly penalties, didn’t have off field drama as he had before, was a good team player and respectful to coaches, so his demeanor showed he has matured a bit since his last stint in the NFL. He also proved that he was the most reliable back in the AAF on third or fourth and short and in a goal line get those last few yards kind of back. He led the league in touchdowns and doubled the second place runner’s numbers. 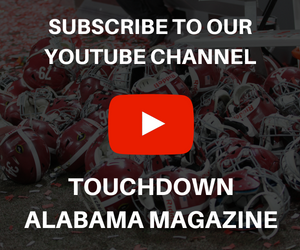 For short yardage, he became Mr. Automatic. Surely some team is looking for a back like that. Secondly, he showed a deft touch as a receiver and lots of speed once he got to the open field. Once in the secondary, he was more than a handful for a DB to try and bring down. As for the bad, for most of the season, Richardson carried about a 2.4 yard per carry average. 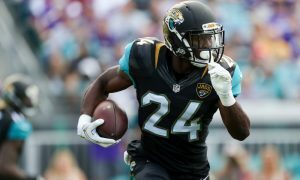 However as the season wore on, his average came up to just a fraction under 3 yards a carry and he was obviously improving as each week went on. To be fair to his abysmal rush per yard total, he was often called on to only run 3 yards or less in goal line or third down situations where everyone in the stadium expected him to run the ball. 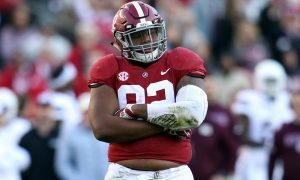 Secondly, his team, the Birmingham Iron, had injuries in the offensive line and it was never a good, much less great line overall. Birmingham overall was a pass first team and Richardson didn’t get a lot of carries on downs where the run wasn’t expected. 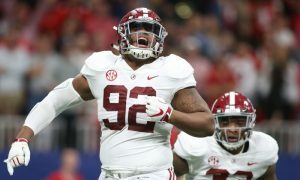 Lastly, there a couple of questions of his ability to pick up pass rushers at times, but overall, his training at Alabama where Saban won’t let a running back stay on the field who won’t and can’t unselfishly give himself up to pass block and do so with great ability, did show through. 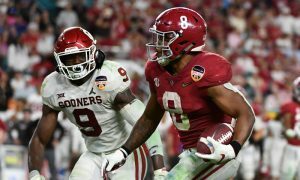 In the end Richardson showed anyone looking for a power back, that he’s healthy, full of desire to make it back to the NFL and a guy who can and will get you those short yardage conversions and scores in the red zone. The fact that he was willing to show the NFL that while making less than the NFL’s minimum pay showed folks in NFL offices that he won’t break the bank to be signed as he’s anxious to just get the shot and prove himself. That could be the biggest thing in earning him a shot back. 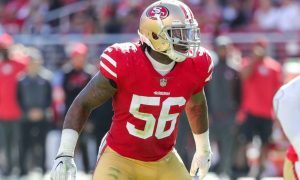 Although the players league has guidelines for veteran pay that raise with each year of experience, he would still be a bargain that surely someone might want to try. Of course only time will tell.